Here is my non-spoiler review of Hyakka Hyakurou ~Sengoku Ninpouchou~. The only graphics I’ll show are the title screen, random screenshots of the interface, and a non-spoiler CG. Since some of the plot and characters are based on actual history, I have also included the wiki links. Be warned that reading those links may spoil some of the in-game events. I’ll be covering the three guy’s routes for Koharu (CV: Fujimura Ayumi). First, some basic information about her. She basically grew up pretty much alone and isolated, and only learned about the world through books. She was told by the traveller that a ship would come fetch her when she’s 17 years old and release her from her loneliness. So ever since then she looked forward to that day and really wants to get along with everyone and not be hated. Her power is to control fire but she fears of being suspected as the betrayer and desperately keeps quiet about this. She’s polite, naive, and almost tries to absorb information about the world like a sponge by keeping notes. She has a lack of suspicion and usually takes people’s words as they are. 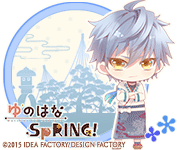 You may wanna read Senri’s route first for a basic outline, including common events. Finally started on Arabians Lost ~The Engagement on Desert~ PSP. Our heroine, Aileen Olazabal, is the only princess of Gilkhatar – which is pretty known as a(n) outlaw/criminal country – and daughter to the bandit king. Everyone in this country is pretty much not “normal” but all Aileen wants is to be normal, and have a normal love life and marriage. Of course, things won’t go that smoothly for her. Issho ni Gohan is based off a drama CD series. In the game, our heroine, Mugibata Akane, is a 1st year at Hanarenjyaku University of Cooking. Unfortunately, her part-time workplace just went bankrupt and her funds are running low and she can barely make ends meet – so much so that she collapses from hunger one day! Fortunately, Satou helps her out and even offers her to take over his position of managing Meshi Yasou, an apartment for Hanarenjyaku students, as he’s leaving soon. Akane decides to take up his kind offer and so begins her days at Meshi Yasou~ This is a pretty straightforward game and you can finish each character rather quickly, so I won’t be doing a full-blown review of all the character routes. This will be a quick review of the following: Bunmei Kaika Aoiza Ibunroku Saien Pre-order drama CD (that came with my game), Bunmei Kaika Aoiza Ibunroku Sakura Ranman ~Yoidore Romanki~ and Moujuutsukai to Oujisama ~Snow Bride~: ~Omoide no Hana~. At least for Moujuutsukai to Oujisama’s, it is expected that you are aware of the spoilers of both games already. In the “Another Story“, Lucia calls out to Tiana though Kurt soon joins them. Lucia wonders how he found them in the crowd and Kurt says that Tiana has a nice smell so he can find her immediately. Lucia attempts to fish out further details on Tiana’s smell very obviously. And apparently Lucia has an abject one and Lucia sighs “yeah I’m a hetare anyway” lmao. Kurt also let slip that Lucia asked him for advice on how to be alone with Tiana and this causes Lucia to drag Tiana outside to the balcony before Kurt goes on. There, Lucia embarrassingly compliments Tiana and that he can’t look straight at her. Tiana also compliments his looks, saying that he looks better than the rest, and he tells her to not go on lest he loses control as he’s not used to compliments. Unsure of how to react, Lucia hugs Tiana from behind (and his heart is beating like crazy). He confesses that since young he’d been working to make her love him, and now that she does, he’s afraid of the opposite and trying to not make her hate him now. Tiana reassures Lucia and relieved and happy, he kisses her as they reaffirm their feelings. Wasn’t planning to review Moujuutsukai to Oujisama (PSP) at all since I played more than half of the game last year, and then only came back to completing it recently – so I wouldn’t recall much lol. But then again I’m playing its fandisk now and it would make more sense to at least talk about its former game a bit before the fandisk. So I won’t go into a full-blown review and go with a non-spoiler review instead, while delving into a bit more detail concerning the PSP-only content. 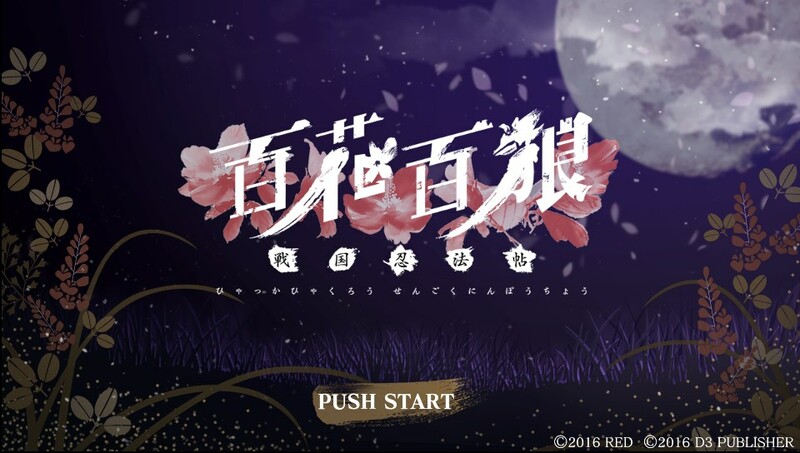 Based on the popular drama CD series of the same title by 5pb, Otomate decided to create Kannou Mukashibanashi PSP which features seven stories. Six of them are from volumes 1-6 of the drama CD series, and the seventh one is a brand new one. Like in the drama CD, Inoue Kazuhiko plays as your guide (heroine’s default name: Himeko). With each story narrated by a seiyuu each, Himeko experiences different story developments as a story character – well, with an “adult” touch to them. The main catch of this is that, like the drama CDs, the cast record parts of their lines using the dummy head microphone to create a “3D” effect when you listen to them. 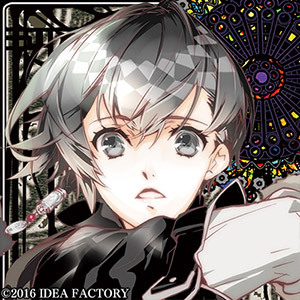 For example, like he always does in each drama CD, the guide will tease your ears aplenty at the start as you put on your earphones/headphones (highly recommended to wear as you play the game). I’ll be reviewing the whole game as briefly as I can, but enough to give you an idea of what to expect. Since I’ll be describing all of the stories’ different endings, there will be spoilers! 4th Year Anniversary + Giveaways! !